To ensure clear distant vision, the top of the lens needs to be free of aberrations and a panoramic visual field in the distant zone is required for a panoramic view of the road. Being powered with Panoramic Vision Enhancement Technology (PVET), the surface contour of NOVA DRIVE lenses are so optimized that the aberrations are nil. Helps the wearer to enjoy extended fields of clear, panoramic vision from right rear view mirror to left rear view mirror without excessive head movement. On the drive, attention is divided between the road, dashboard and viewfinders. This change in distance and direction of gaze causes visual fatigue. Multi-purpose progressive lenses have limited intermediate vision. NOVA DRIVE lenses offers wide and stable intermediate and near vision areas adapted to the interior of the car. Provides ease of switching focus between the road, dashboard and mirrors, especially for progressive users. 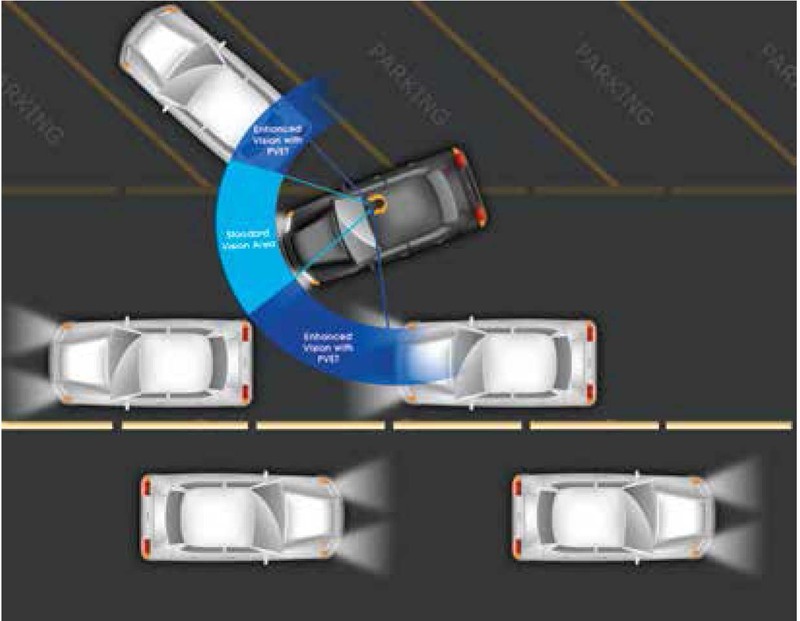 The intense glare from approaching vehicles, streetlights or various reflections in a low light situation or night creates a temporary ‘blackout’ and slows down the adaptation time of eyes from light to dark and vice-versa. The pupils of the eye dilates too in such conditions which reduces depth of focus. The advanced design of the NOVA DRIVE lenses takes into account the range of the pupil sizes in different light conditions including extremely low light. Offers a highly optimized surface contour, maximizing visual efficiency. NOVA DRIVE Lenses are powered with Panoramic Vision Enhancement Technology (PVET), which allows the wearer to enjoy extended fields of clear vision. The power profile of the surface contours of the lenses are so optimized that the aberrations created in the para-centric region of the lenses are curbed down providing the wearer with unrestricted view from right rear view mirror to left rear view mirror without excessive horizontal head movement. • Provides complete protection from HEV Blue & UV Rays during the day unlike ordinary lenses that let the rays pass through. • Keeps away the harmful blue rays emitted from the LED / Xenon Headlights and digital devices. • Deflects the UV rays, a part of high energy visible light and heat generating infra-red rays. • Reduces the blinding effect caused by nightly glares and even direct sunlight glare, far more efficiently. • Allows maximal entry of specific light waves which create the best sensitivity during the day as well as at night, providing the sharpest possible vision with high contrast, 24X7. • Provides UV protection, partial HEV protection and creates a darkening effect behind the windscreen. • Offers darkest tints like traditional sunglasses: 90% tint at 230 C.
• Gives optimal comfort in all temperatures.